Hope Academy Northwest is a tuition-free, community school of choice for grades K–8. We are AdvancED Accredited. 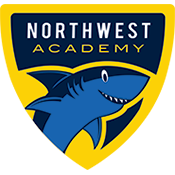 On the 2018 Ohio Report Card, Northwest Academy was one of only twelve schools in the city of Cleveland to receive an overall grade of B or higher. Northwest Academy has worked hard to close the learning gap, the evidence being the A grade the school received in Gap Closing. Finally, Northwest Academy is one of a few schools in Cleveland to receive all A’s in Value-Added for three straight years! At Northwest, we focus on the academic growth of all children. Our school is conveniently located on the corner of 116th Street and Detroit Avenue near the Lakewood, Ohio City, and downtown Cleveland neighborhoods. We are right behind the old church. Please click here to see if your student qualifies for free transportation. Northwest Academy is a small school that feels like a family. The teachers and staff are extremely caring. I've been a parent for over 7 years and feel like my daughter is secure and receiving a great education.